We have had a wonderful workshop here at MAKERS, run by Flora Arbuthnott. Flora decorated the space with many examples of different types of fabric printing, and provided resource books for ideas and inspiration. 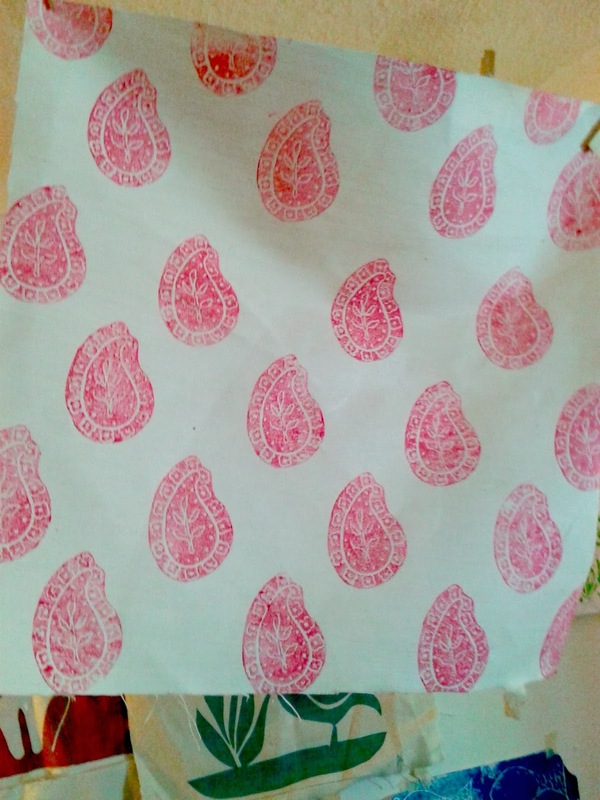 An Introduction to Simple Printing Skills for Fabric Workshop was a compendium of different methods of printing fabric, many of which could easily be replicated at home with basic tools (such as a window squeegee!). 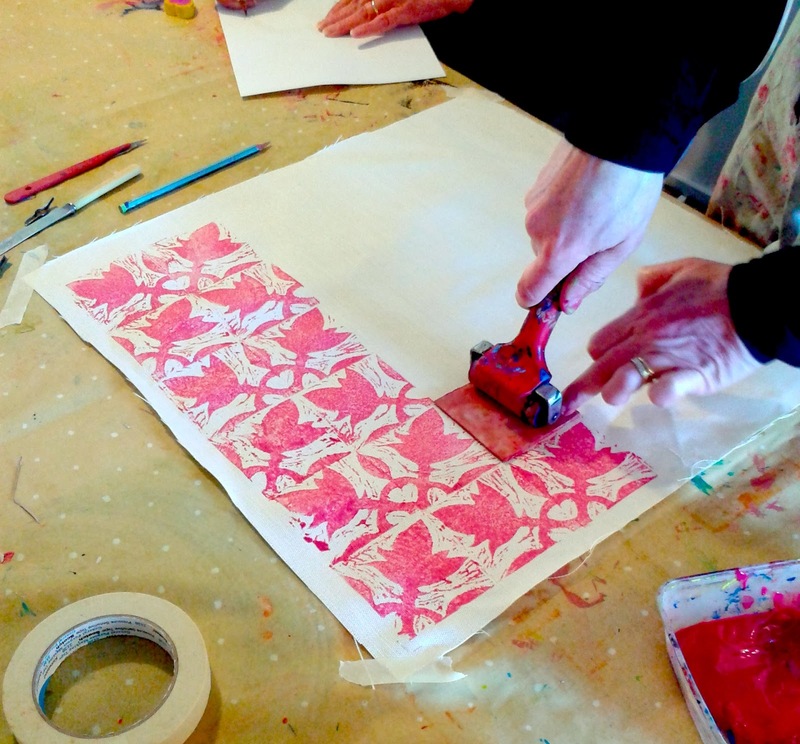 Participants also learned how to carve their own lino blocks for creating repeating patterns. Amongst other techniques they also cut paper stencils for simple printing via silkscreens. Creative experimentation produced a wide ranging collection of prints on fabric and paper, with each participant taking home enough fabric to make a cushion. Flora is running another workshop for us on Sunday 30th March 2014 and you can book online via our website.